The countdown to The Other Side begins! Only 6 days to go! Yesterday, the proof copies arrived. 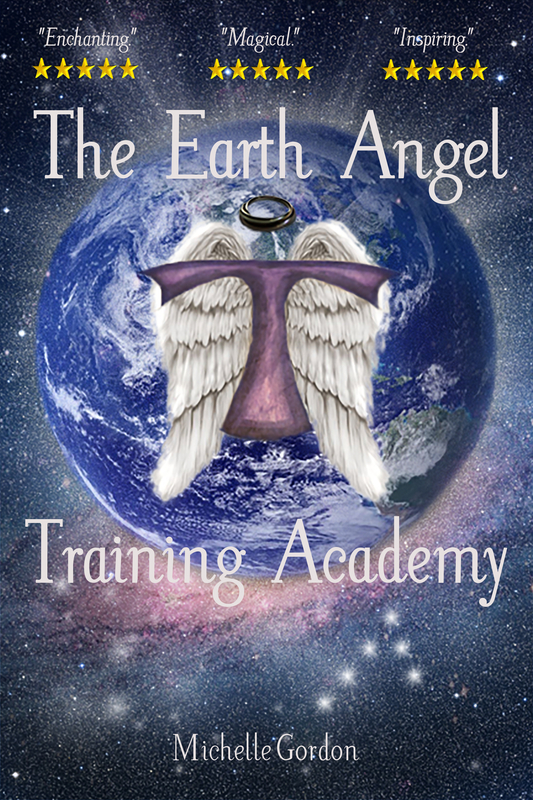 I was incredibly excited to see the new covers on The Earth Angel Training Academy and The Earth Angel Awakening, and to see The Other Side for the first time. I think the three of them look amazing together as a series, and I’m very pleased with how they look, thanks to Liz and Jason. 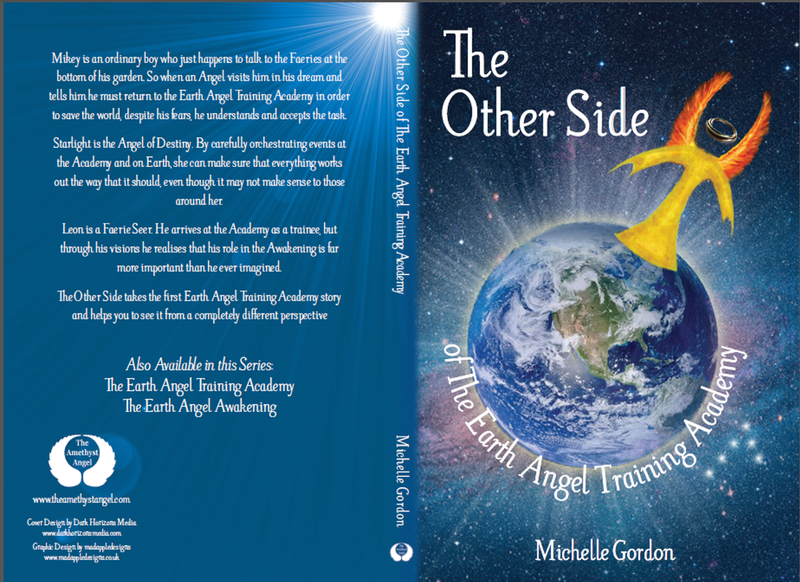 I’m just giving the proof copy of The Other Side a check through for last minute errors, but as a sneaky tip to anyone reading this – the new editions of Academy and Awakening in paperback are already available on Amazon 🙂 The Kindle versions and Smashwords versions with new covers will be ready by the official launch next Wednesday. Apologies for the lack of posts, I have literally been so busy I have not stopped! I have been mainly working on the final copy of The Other Side and party planning. Post-party (which will have its own blog soon!) 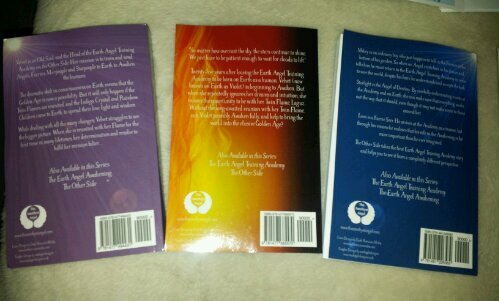 I am now back to my publishing projects and getting my books published. 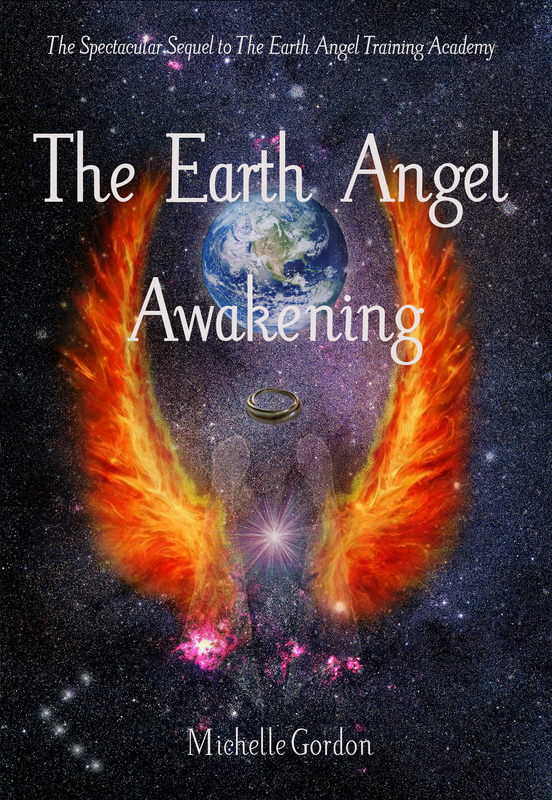 I know I keep pushing the release date back, I blame it on Mercury being in retrograde… The release date for The Other Side and for the new editions of The Earth Angel Training Academy and The Earth Angel Awakening is now set as the 13th November 2013. The day has finally come! 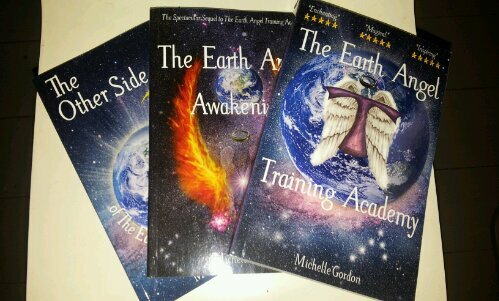 I am ready to reveal the two new covers for The Earth Angel Training Academy and The Earth Angel Awakening. (The cover for The Other Side will be revealed in a couple of weeks) Jason of Dark Horizons Media has been working all hours on the graphics, and has been incredibly patient with all of the tweaks I have asked for! I have also had help from Liz of Madapple Designs. I really am very much in debt to their patience with me, and very thankful for their talents! What a great day! 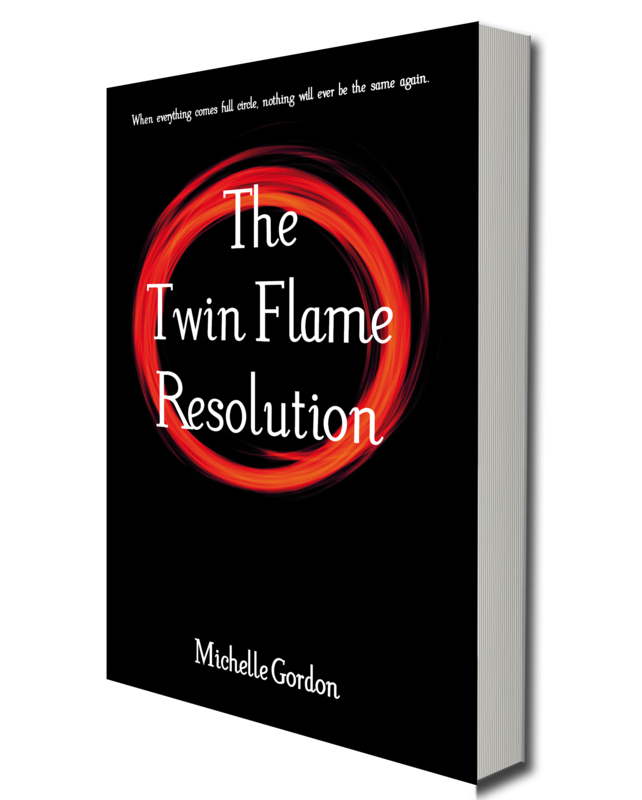 Woke up this morning with no clue what to call my new book, or any idea whatsoever of what to put on the cover of it. With a meeting scheduled with my cover designer, Jason Mordecai, at 11.30am, this was a slight problem! Over a cup of tea with a friend, we did a little brainstorming and by the end of it, not only did we have a title, but we had a very cool concept for the graphics too. So I set off to my meeting with Jason, feeling quite excited about the new ideas. I got there a little late (I have yet to travel around Cardiff and not get lost!) but we set to work, and before I knew it, it was 3pm! 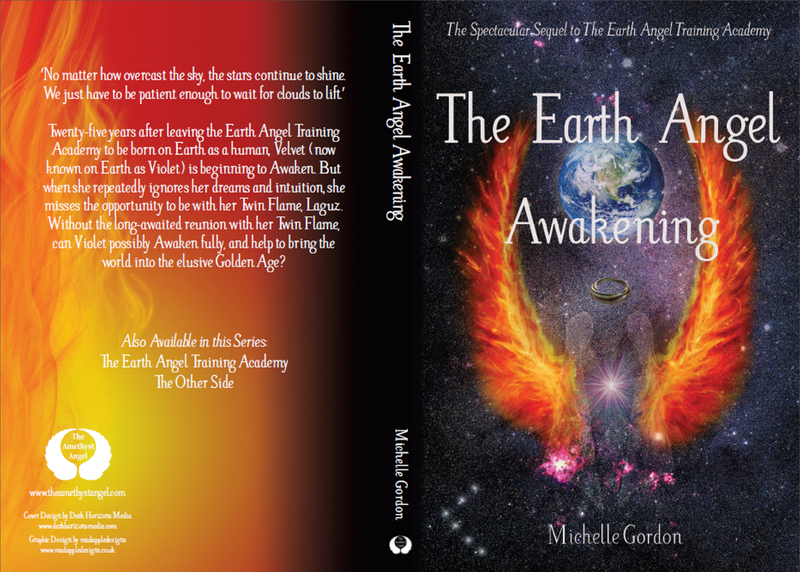 But by then we not only had the rough design for the new book, but we had tweaked and perfected the designs he had created for two of my other books. 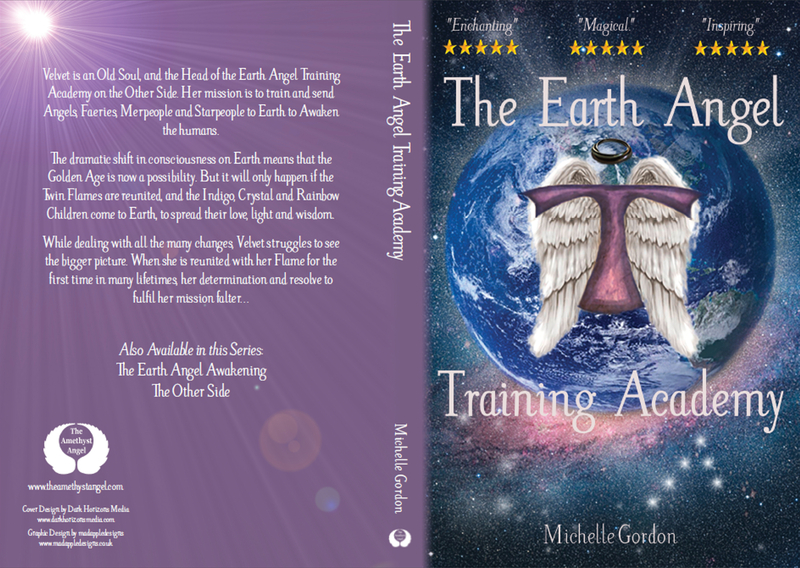 I decided this year to have the covers of The Earth Angel Training Academy and The Earth Angel Awakening redesigned before the release of the third book in the series. Jason did the initial designs a few months ago, but I have been keeping them to myself for the launch this summer. I really think they are amazing, and I cannot wait to reveal them to everyone! 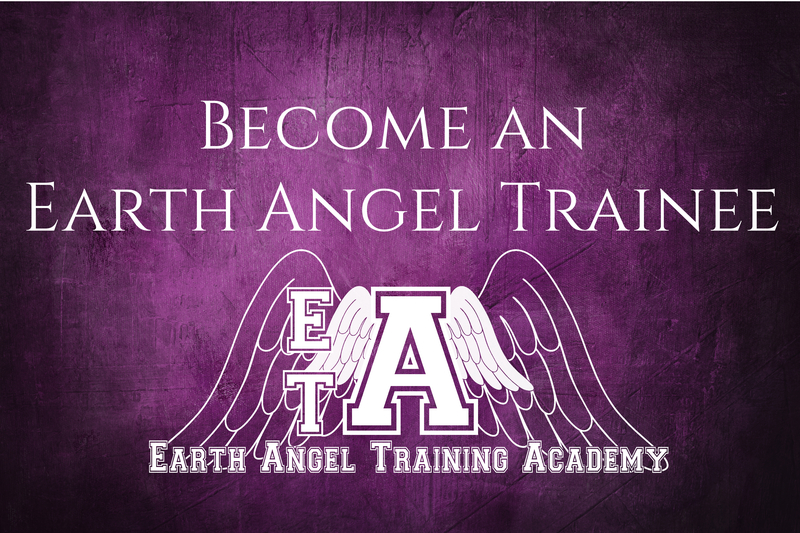 The Other Side of The Earth Angel Training Academy. So, it is literally the other side of the story. It is the story of the male characters, and also the Children. It is all of the stories that I did not get to discover and write about in the first book. Though just to be clear, because I don’t want to disappoint anyone, no, the Leprechaun incident it still not spoke about in any detail! Just a short post to say that my website has had a few updates, and now includes a sneak preview of one of the amazing graphics to come from Jason Mordecai. Check out his facebook page, his work is incredible. You can see the updated look here. Hope you are having a wonderful weekend, I have been busy working on my new novel, must get back to it!